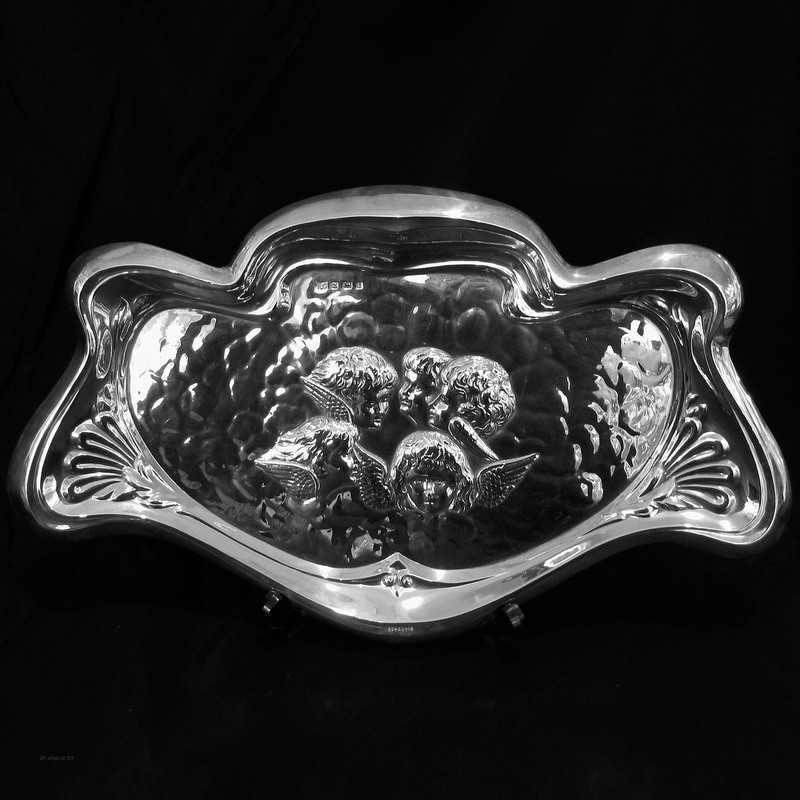 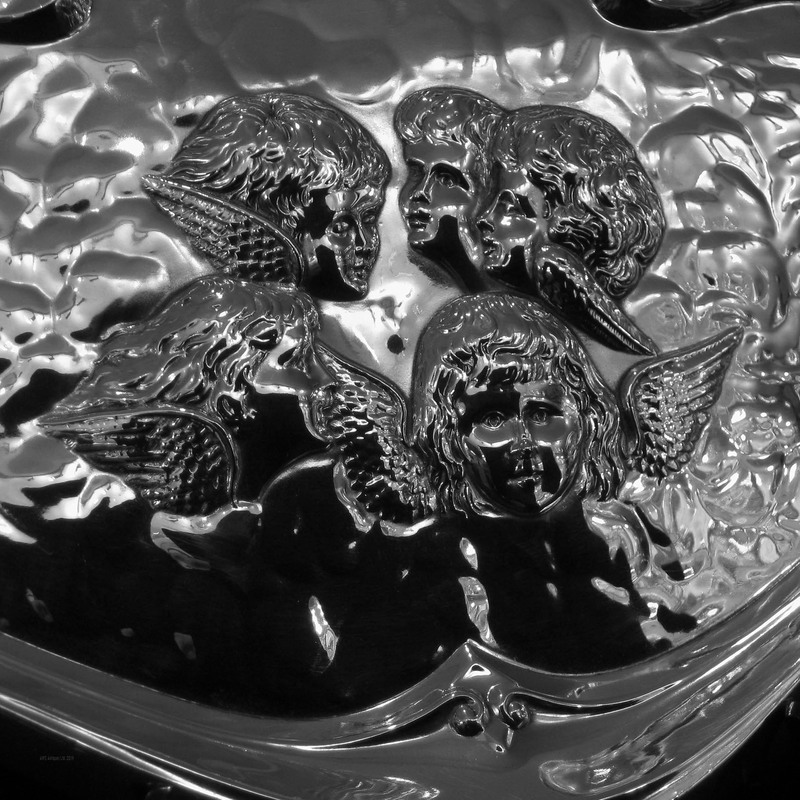 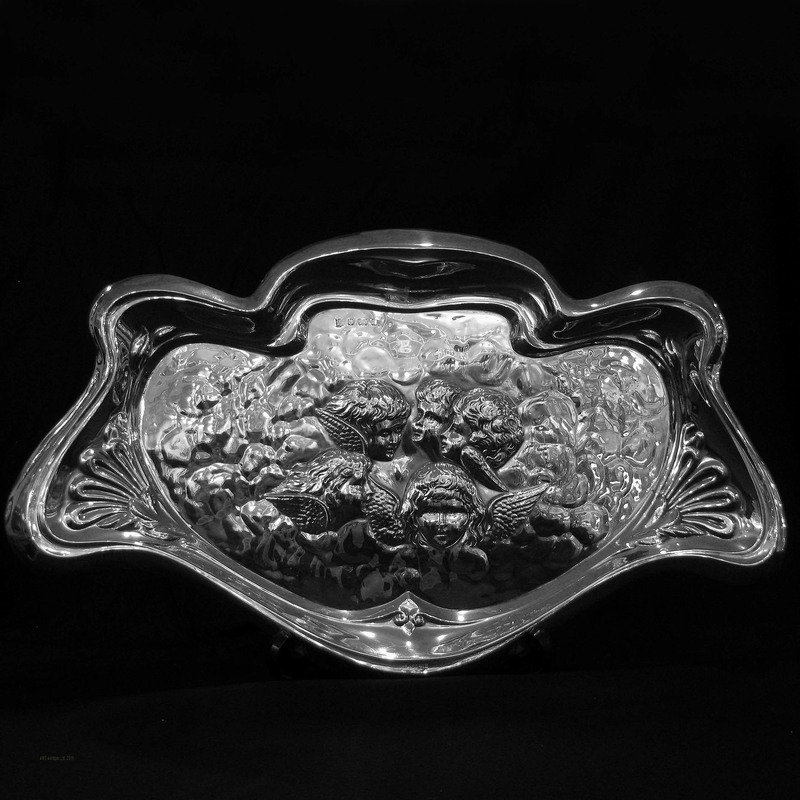 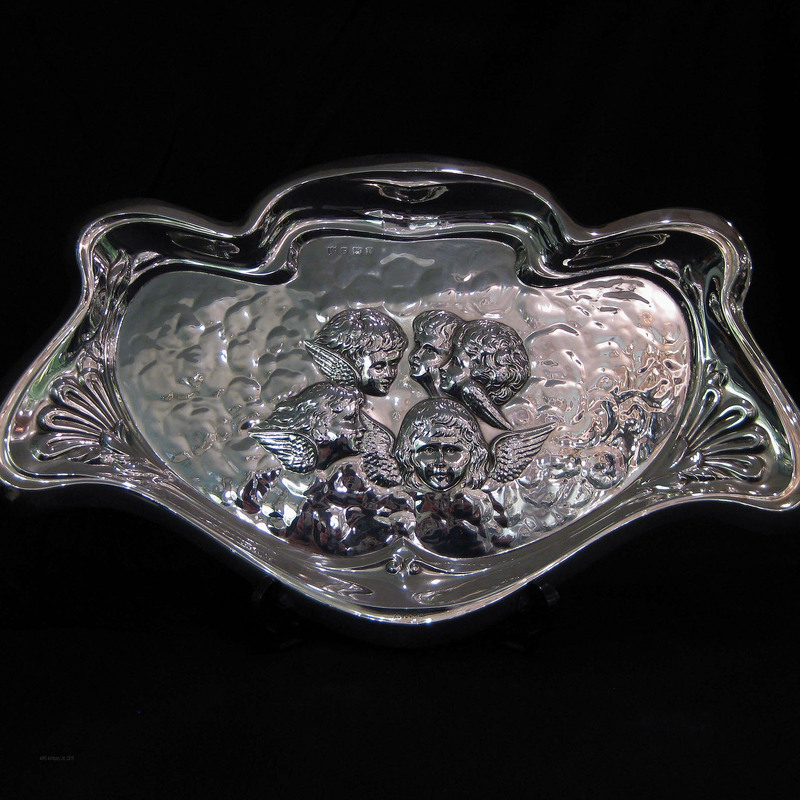 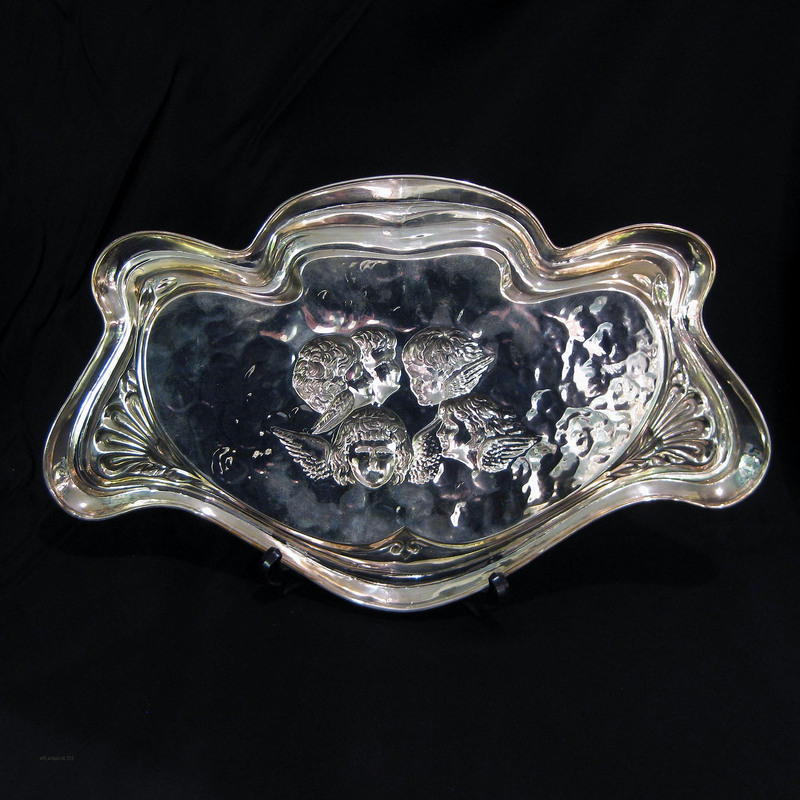 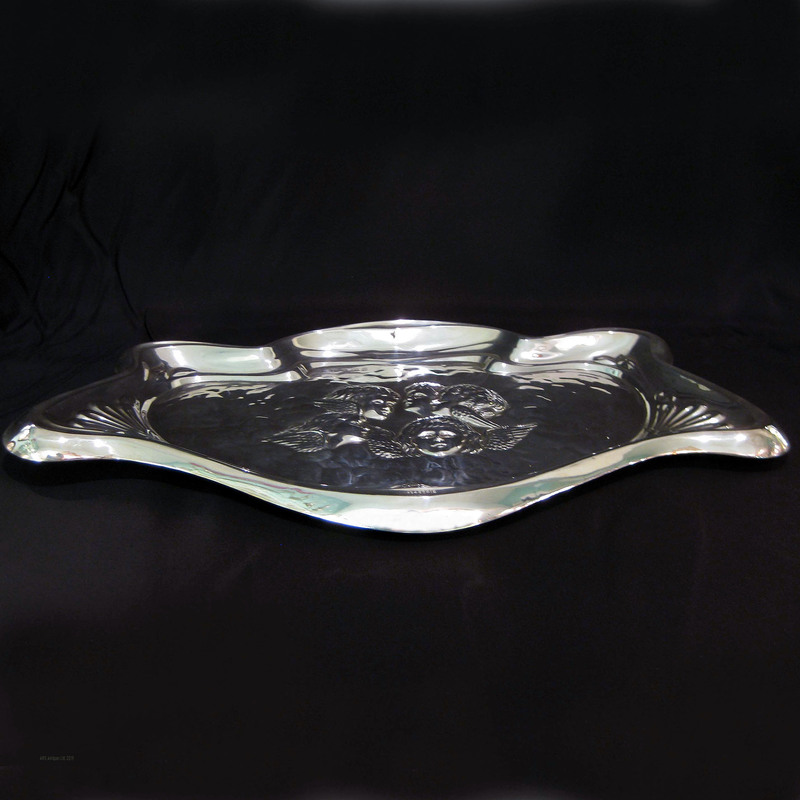 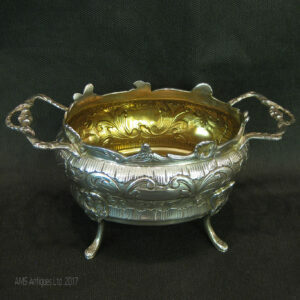 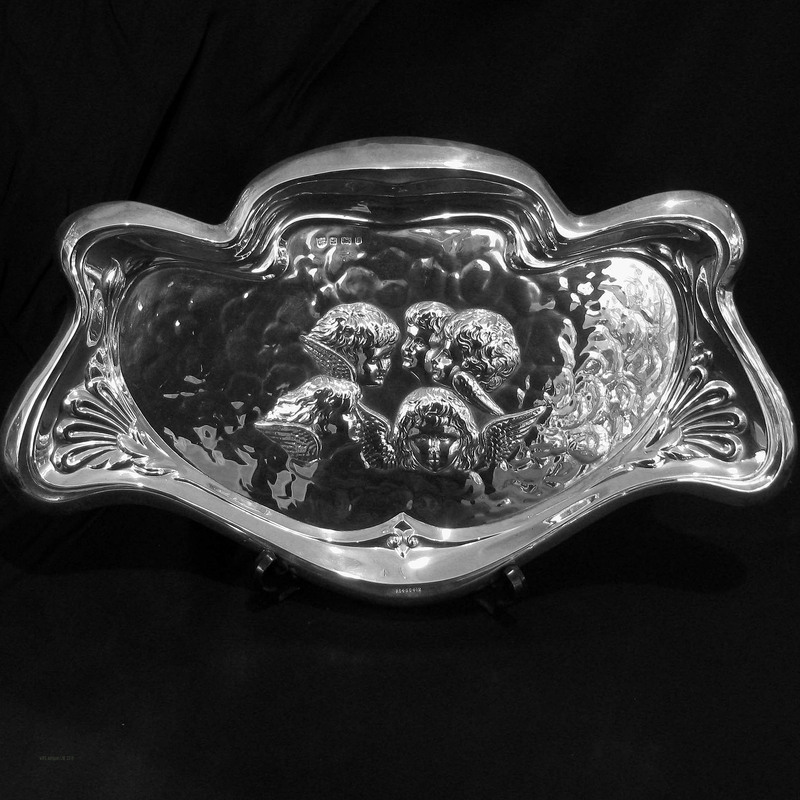 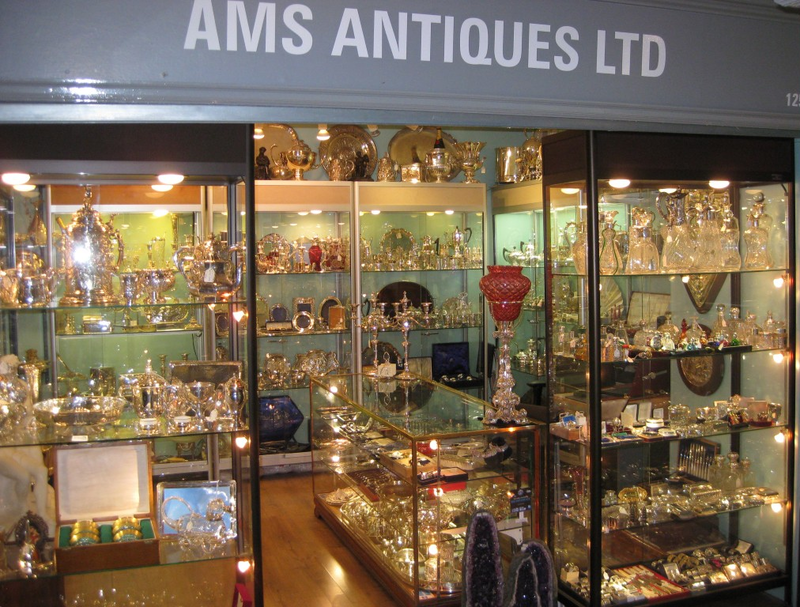 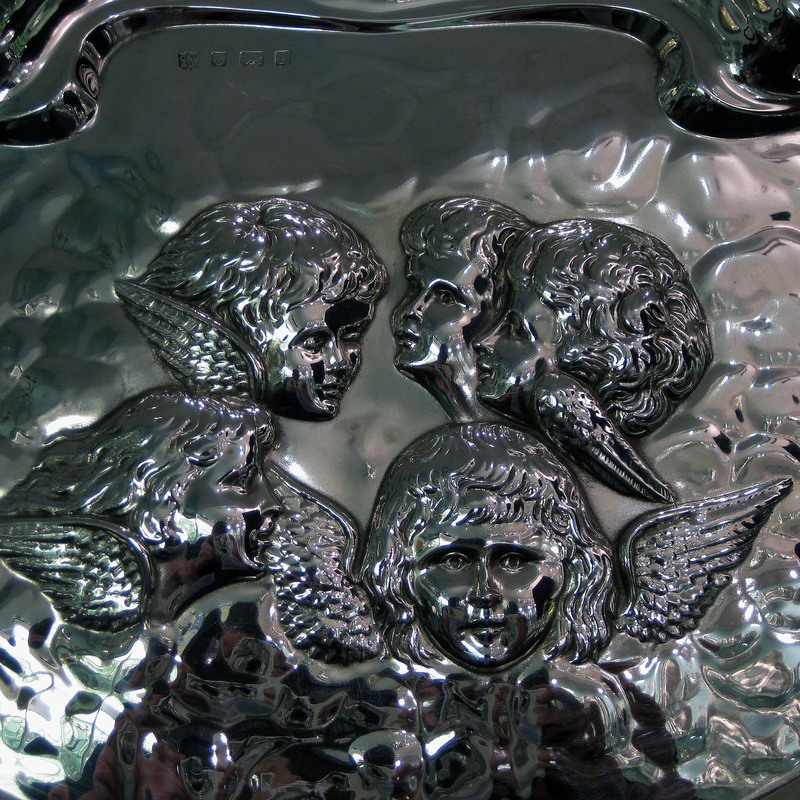 An art nouveau period ,sterling silver ,Reynolds Angel design letter tray. 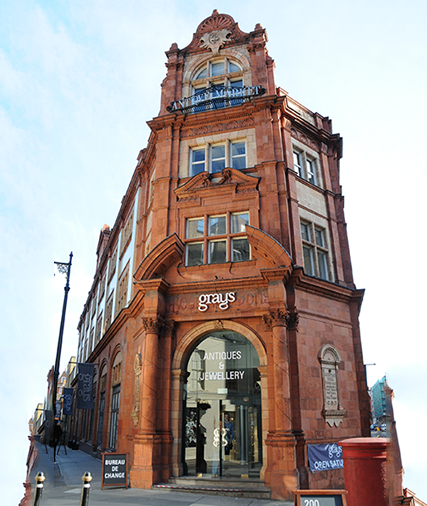 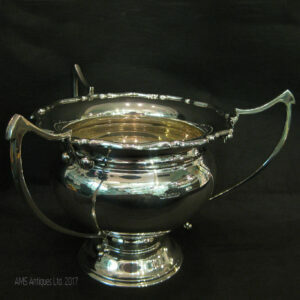 Made by Charles Green & Co.ltd. 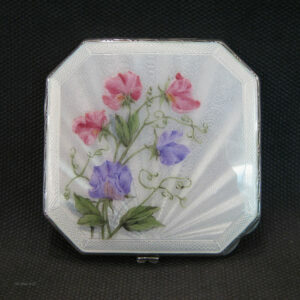 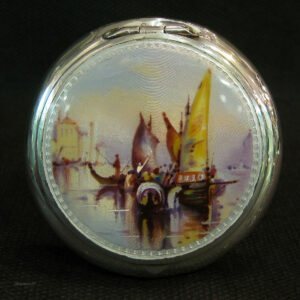 Measures 37cm across 20cm tall and stands 2cm high when flat.